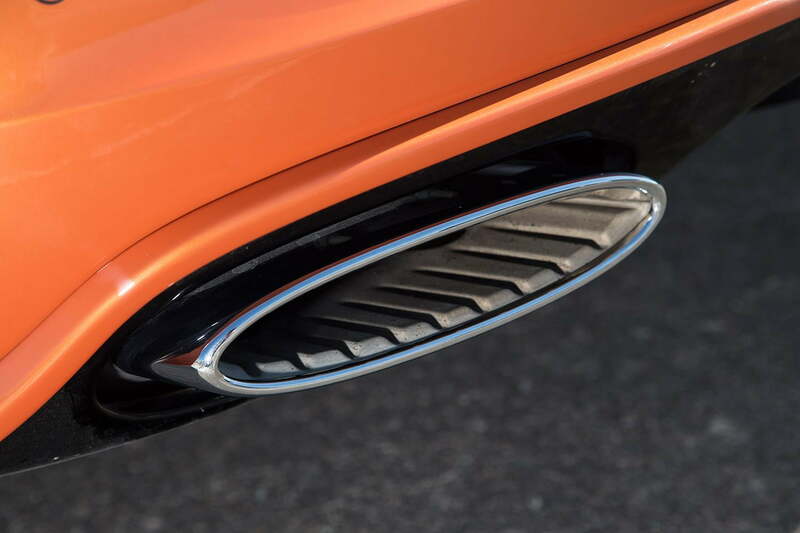 The bass-y thrum of the 626-horspower W12, supple leather interior, and firm yet forgiving suspension of the 2015 Bentley Continental GT Speed will leave occupants wondering if they’ve died and gone to motoring heaven. Frankly, when exceeding 180 miles per hour, I expected at least a bit of drama. I was hoping for violent vibrations, deafening wind noise, ferocious wheel shake, something … anything. I imagined white knuckling the steering wheel, swallowing my fear, gritting my teeth, and pushing through it like a man. Sailing down the south runway of the remote RAF Machrihanish airbase in Scotland, behind the wheel of the 2015 Bentley Continental GT Speed, there wasn’t any hint of incident. No, the Bentley rode as smooth and as sure at 180 as it had at 80. When I hit 183 mph, my Bentley representative co-pilot asked me to begin braking. At the end of the runway, I turned the Bentley around and headed back to base. On the now-several-minute-long journey, I had time to ponder my accomplishment. Taking the 2015 Bentley GT Speed to 183 mph – ignoring the fact it’s the fastest I’ve ever been – is a rather astonishing achievement. Why? 183 isn’t even scratching the surface of the GT Speed’s potential. In fact, it can hit 206. Few cars can exceed 200 mph. Well, OK, that’s not fair; several can. Most of those, though, are stripped-down racecars masquerading as road-going hypercars. Then there’s the 2015 Bentley Continental GT Speed. 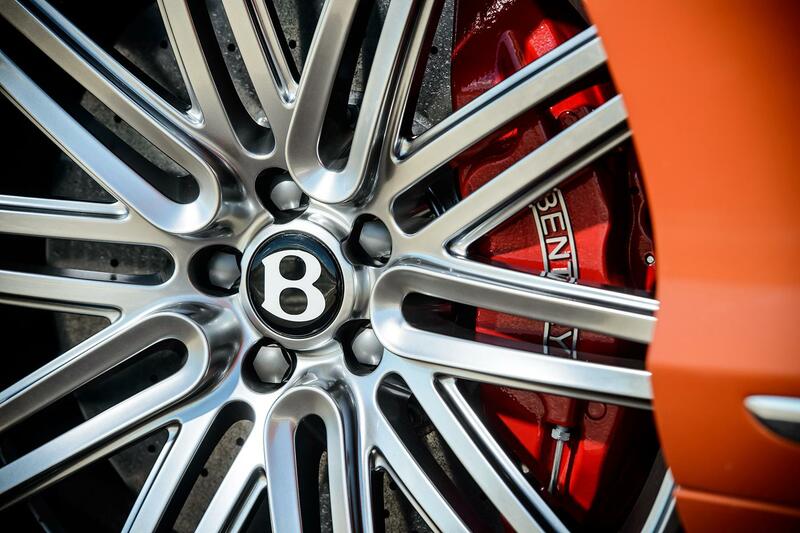 Believe it or not, Bentley builds more 12-cylinder engines than any other automaker on the planet. In order to break 200, most supercar buyers have to sacrifice comfort and refinement. In the GT Speed, though, they don’t. Honestly, in the Bentley, they’re bathed in it. Just as a buyer of a $230,000 luxury coupe might expect, Bentley uses real wood, only the finest leathers, and imperfection-free carpeting. Where Bentley outshines every other car on the planet – ignoring its top speed capabilities – is with the details. The backings on the knobs that open and close the climate control vents, for example, are knurled. Owners will never see it, because the details face the dashboard, but they’ll feel it. And Bentley is a brand that’s all about sensation. And what a sensation the 2015 GT Speed is. Not only is it the fastest Bentley ever made, capable of 0 to 60 in 4.0 seconds, I think its one of the best looking. For 2015, it gets even better looking. The changes between 2014 and 2015 for the GT Speed are subtle but stunning. Aside from the up-rated W12 engine power output, both the exterior and interior have been improved. The exterior, when fitted with the Mulliner Styling Specification, now features a new, body-color sharp front splitter, sporty side skirting, and rear diffuser. To set off the body paint, a dark tint finish is applied to the 21-inch Speed wheels, headlights, and taillights. Then, to further draw out the darkened features, red paint is applied to the massive brake calipers. Stepping inside, the story is much the same; changes have clearly been made, but occupants might not immediately notice the revisions. 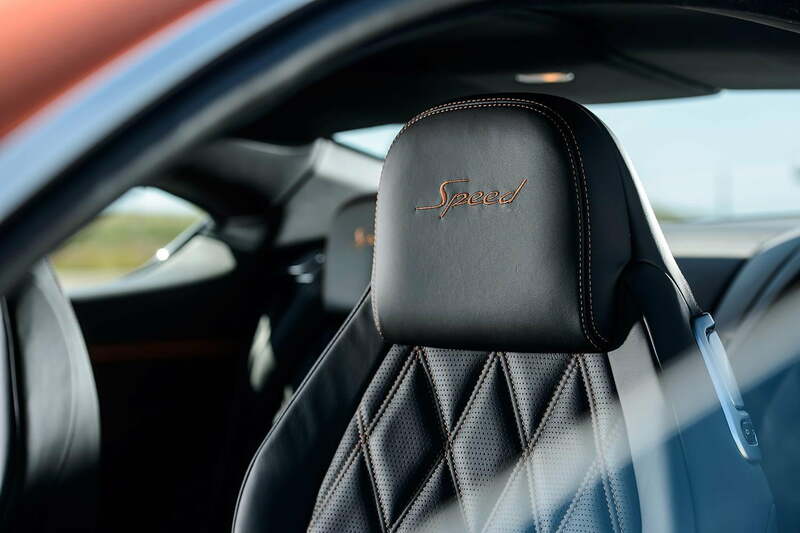 Bentley’s interior craftsmen can – if specified by the customer – include a color split leather scheme throughout the cabin. For my money, this is the only way to have the 2015 GT Speed fitted. 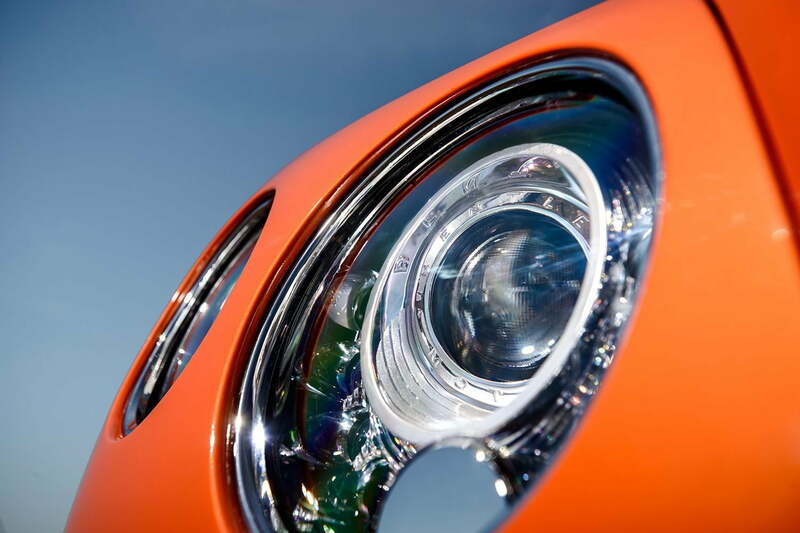 It adds a level of contrast visual flare found little where else in the bespoke GT market. 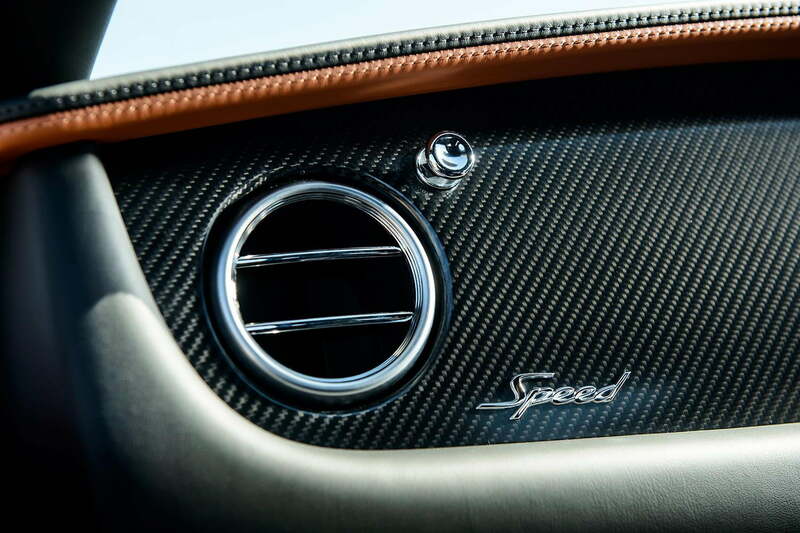 Further proving its obsession with detail, Bentley even had the ‘Speed’ logo on the dash injection molded from steel so that even the dash-mounted lettering would be – like so many other features of the GT Speed – cold to the touch. Believe it or not, Bentley builds more 12-cylinder engines than any other automaker on the planet. And for 2015, its outstanding W12 engine produces even more power than before. Rated at 626 horsepower and 604 pound-feet of torque, the 6.0-liter W12 will rocket the 2015 GT Speed to 60 mph from a dead standstill in 4.0 seconds and onto a top speed of 206. Bentley rode as smooth and as sure at 180 as it had at 80. These prodigious performance figures are thanks in part to the eight-speed automatic transmission and 40:60 split all-wheel drive system. With these performance figures, the 2015 GT Speed is not only one of the fastest cars on the road and the fastest car in its segment, but also the fastest Bentley ever. 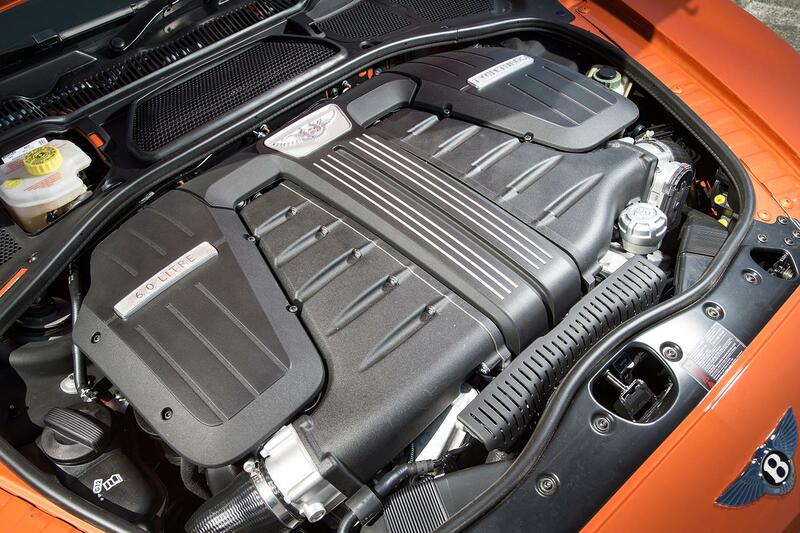 Rightfully, Bentley is very proud of its 12-cylinder powerplant. It’s not enough that each engine is meticulously assembled by hand, Bentley also tests every single engine that rolls of its assembly line. This stands in stark contrast to other automakers, which test only a percentage of their engines. First, each engine is cold tested for leaks. Then it’s strapped in and hot tested again for any signs of weakness. If at any point, the engine shows signs of imperfection or failure, it’s pulled apart, rebuilt, and retested. Of course, this isn’t the only stage of the Bentley build process completed with great care, so, too, is the rest of the vehicle. While on our drive, Bentley took us journalists on a tour of its factory in Crewe, England. There we witnessed every part of the 400 man-hours that go into each and every Bentley. I won’t go into too much detail here. Suffice it to say, though, that if Bentley indulged every potential customer with a tour of its factory, it could likely fetch double the asking price for its cars. If you’d like to know more about the Bentley factory, read my Bentley factory tour story on The Manual. After our Bentley factory tour, we journalists were sent northward on the M6 into Scotland. On the highway, the GT Speed performed like a $230,000 super coupe should; it was smooth and comfortable. For the several hour trek, I set the adaptive cruise control and clicked on the massaging seats and cruised in comfort. It wasn’t until we got off the beaten path and onto the remote mountain roads near the shores of Loch Lomond where the GT Speed came to life. There, on the bendy bits, is where the Continental coupe earned its GT Speed credentials. There, on the bendy bits, is where the Continental coupe earned its GT Speed credentials. Let me pause here and just say how staggeringly beautiful Scotland is. Before I arrived, I assumed Scotland was always grey and foggy. While it seems it mostly is, on the days we were there with Bentley, it was sunny and gorgeous. I live in Portland, Oregon and I thought I lived on a very green bit of the planet. Oregon, though, doesn’t hold a candle to Scotland. Seemingly every bit of the country – especially to the northwest – is one stupefying vista after another. Blue waters of a Loch or the Atlantic are framed by greenery for miles in every direction. If it weren’t for the vast amounts of fresh air being forced at me while behind the wheel of the GT Speed convertible, I think I might’ve passed out from having my breath taken away every 30 seconds by the scenery. As for the car, it, too, was breath taking. I drove the 2014 GT Speed earlier this year in the Rockies and I immediately fell in love, as the GT Speed made the already fantastic Continental coupe platform that much better. The same can now be said of the 2015 changes. Bentley has somehow improved upon perfection. Occupants are constantly treated to the bass-y grumble of the W12 engine. And at full throttle it turns into a fiery bellow. The braking feel of the Carbon-Silicon-Carbide (CSC) brakes is sharp and fade-free. 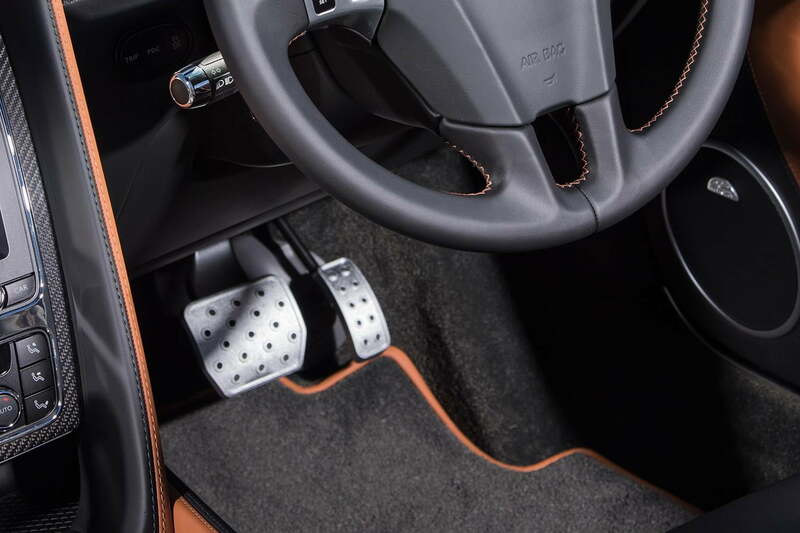 The steering, though sometimes overwhelmed by high-speed switchbacks, is weighty yet forgiving. And the air suspension, which is 10 mm lower than other GT models, holds the Speeds massive weight with incredible precision. I am always astonished how many worlds the GT Speed can live in. It’s perfect as a comfortable, extremely fashionable cruiser. It’s equally at home rallying through the Scottish mountains. That’s what is most amazing about the GT Speed. At just shy of $230,000, it might seem like a lot. Really, though, for that price, it’s a bargain.